The number of signs advertising "soup" that I see never ceases to amaze me. This one is from Dan. 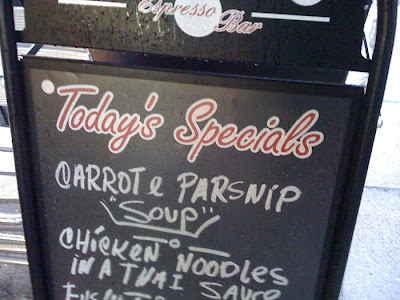 To me it looks like @ARROT e PARSNIP "soup"